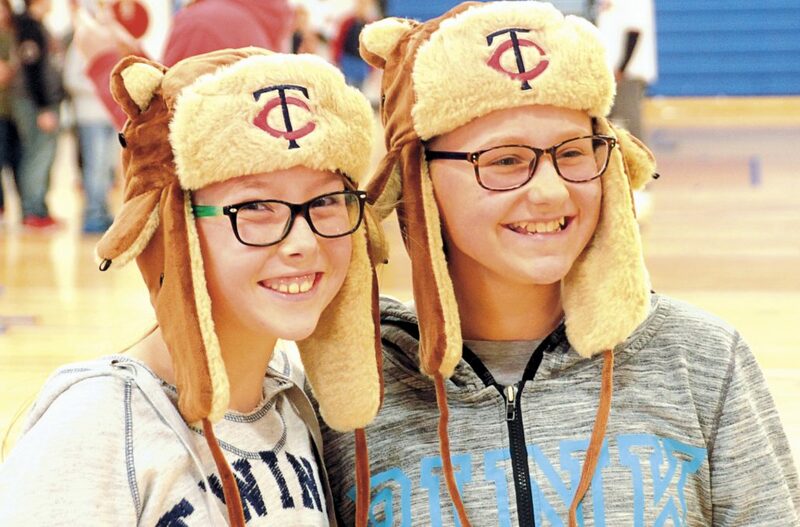 HAPPY FANS — Allison Edwards and Brooklyn Elsen showed off their new winter hats that kids could win by answering questions at one of the stations at the Twins Winter Caravan stop last Wednesday. 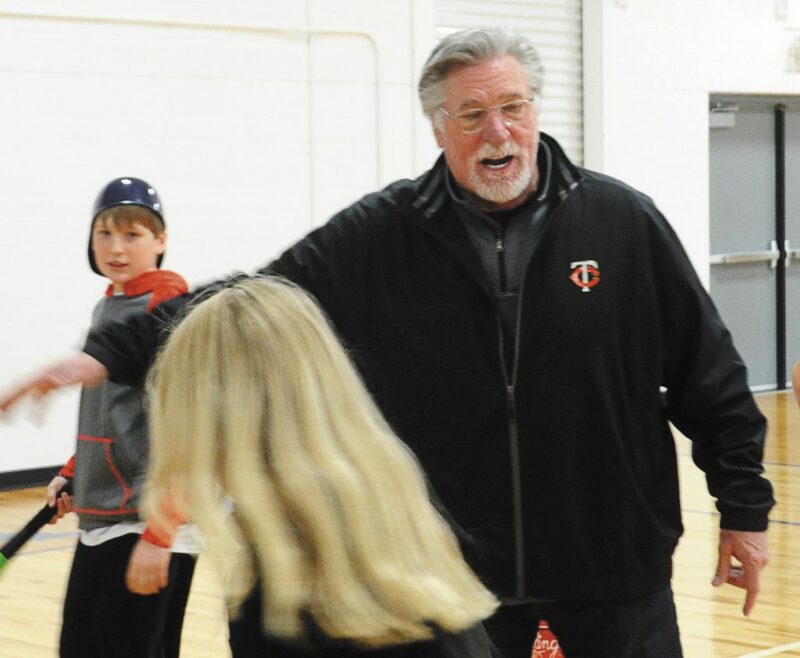 LEGENDARY TWIN JACK MORRIS spent some time during last week’s stop in Tracy working on throwing drills with elementary students. 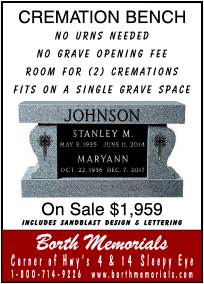 Morris was the MVP of the 1991 World Series. None of the dozens of the fifth- and sixth-graders at last Wednesday’s Twins Caravan event might ever don a Twins uniform, but for a day, they at least felt like big leaguers. The Twins Caravan, along with KMB Event Productions, made a private stop in Tracy last week for an hour of interactive fun that included numerous stations that got the kids off the bleachers of the VMC and onto the floor to show off their skills. 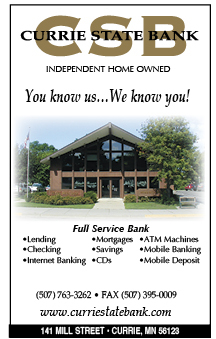 And, Morris said, the kids aren’t the only ones who get something out of it. Joining Morris on this leg of the Twins Caravan were relief pitchers Trevor Hildenberger and Stephen Gonsalves and media member Cory Provus. After the players were introduced, the kids split into groups and went to their stations, which included throwing, hitting and agility. There was also an informational station where kids asked and answered questions and a photo station where everyone could take a photo with Twins mascot TC Bear.